The Grotte di Castellana is a subterranean cave system hidden deep within the countryside outside Bari. 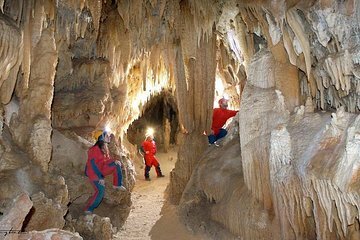 On this adventurous half-day tour, reach Castellana with ease by minivan from Bari and delve deep underground to see the best of the cave system with your guide. Marvel at mighty stalactites and stalagmites, and learn the history of the caves—with round-trip travel from your Bari accommodation included.